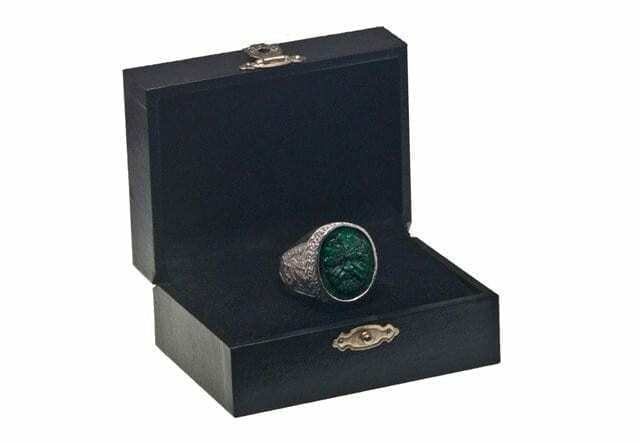 A RARE JADE ALBITE ‘CELTIC DRAGON RING’ SILVER AND HAND ENGRAVED SCULPTED GREEN MAN.THIS IS AN ICONIC CELTIC STYLE SETTING. 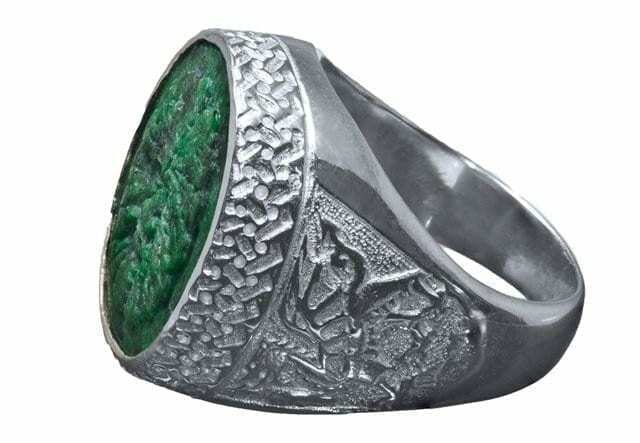 The ring carries an engraving of the Welsh dragon on both shoulders. 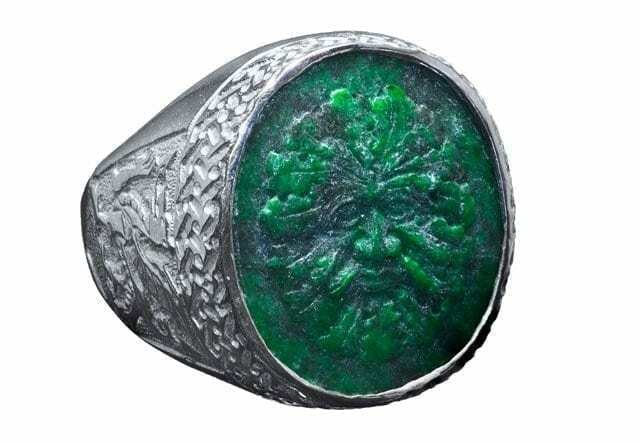 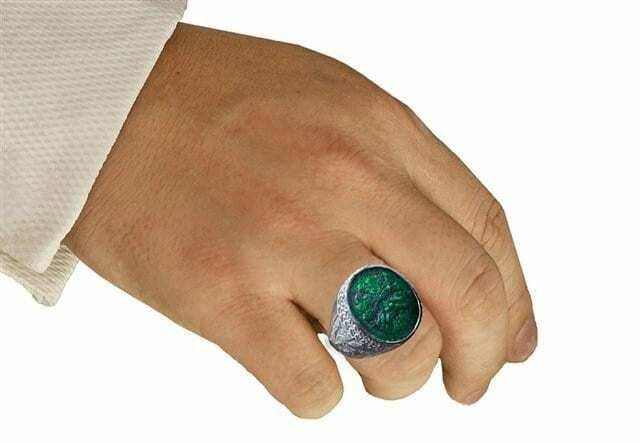 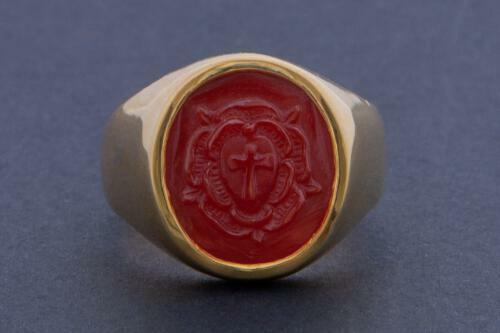 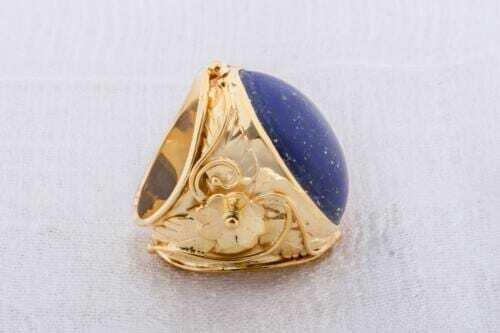 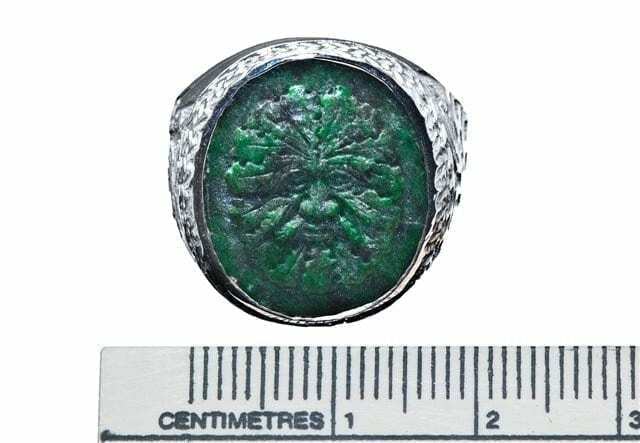 The jade albite stone is 18 x 16 mm (11/16 x 5/8 inch) one of our medium heraldic sized rings.